The agreement to extend the UK’s EU membership another six months to October 31 avoided an economic cliff-edge, but it has done nothing to ease the anxiety felt by millions of European citizens living outside of their home country. 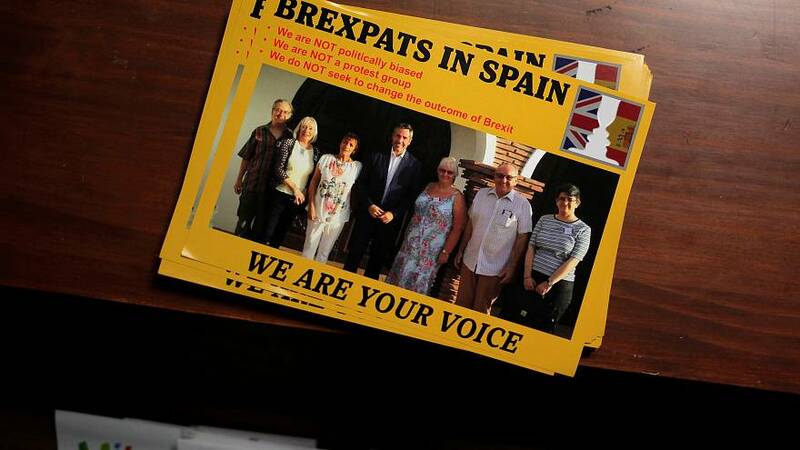 The citizens’ rights organisations the3million and British in Europe – campaigning for EU nationals in the UK and British expats on the continent – have demanded “an immediate end to crippling legal uncertainty” in the wake of the European Council decision. “This extension… means five million people still can’t be sure of the rights that will determine whether they will have jobs, study opportunities, healthcare and the ability to keep their families together in future,” said Maike Bohn, co-founder of the3million, representing EU citizens living in the UK. The EU and the UK struck a deal to safeguard their rights in December 2017, during the Brexit negotiations. The terms were inserted in the draft Withdrawal Agreement that was approved by the British and EU27 governments last November. They covered residency and social security – and secured freedom of movement during a planned transition period. However, the deal needs to be ratified for its terms to take effect – and its repeated rejection by the UK parliament has brought deadlock. Contingency plans for a no-deal Brexit covering citizens’ rights have been drawn up by both the UK and the EU, but have been criticised by campaigners as inadequate. The British government says its “settled status” scheme for EU nationals will apply whether the UK leaves the EU with a deal or not. However, campaigners argue that in a no-deal scenario rights will be cut and could be reduced even further by future UK governments without the protection of an international treaty. UK settlement scheme for EU nationals: what is it and how does it work? The outlook is even more uncertain for an estimated 1.3 million British nationals living in the EU. As the two campaign groups point out, the EU’s no-deal contingency plan for them amounts to an appeal to individual countries to be “generous” as their rights will no longer be protected by EU rules. Many EU countries have moved to secure the rights of British residents in the event of a no-deal Brexit. But issues such as healthcare will depend on bilateral arrangements, which can only be sorted once the UK leaves the EU. Spain and France, the EU countries with the highest number of British residents, have enshrined their post-Brexit rights in law. But in France some Britons have complained that their applications for residence permits have been rejected. What would a no-deal Brexit mean for EU and UK citizens' rights? Last month the EU’s chief Brexit negotiator Michel Barnier rejected calls to “ring-fence” citizens’ rights as negotiated, and protect them in the event of no-deal. He said it would be “far from straightforward” to separate them the Withdrawal Agreement which took a “comprehensive approach” to the UK’s exit. The British government had asked for clarification after the House of Commons passed unopposed a move by Conservative MP Alberto Costa, to secure in a no-deal scenario the same rights as negotiated in the divorce deal. Citizens’ rights campaigners are once again calling on EU leaders to act – and treat people as importantly as trade. “This may be the last chance before the European elections to show the five million people who used their free movement rights in good faith that they matter more than fish carcasses or Cheddar cheese,” said Jane Golding, Co-Chair of British in Europe. What would a no-deal Brexit mean for EU and UK citizens’ rights?